After reading this article, you’ll never think the same way about binge eating, dieting, and body shaming. It begins with statistics showing how body shaming affects women. 91% of American women are dissatisfied with their bodies, and about 90% of the women who contact me for a binge eating problem have a body image issue. and body shame is created. If you dread looking at yourself in a mirror and you expect others to think negatively about your body and reject you. Or if you fear never measuring up to your body ideal, and you are overly concerned about eating the right way and what will happen if you don’t, society’s prevalent body shaming and objectification are controlling how you evaluate your worth. When that’s the case, no amount of will-power, discipline, or struggling can save you from the diet-binge cycle. .. but you can break free from binge eating without any of those! Imagine feeling loved and appreciated for who you are, just as you are. Wouldn’t it be wonderful? You’d wake up feeling privileged just to have a body and be able to breathe, excited about your new day, happy to meet your reflection in the mirror, and energized to try new things and make new connections without a single thought about food on your radar. The Ugly Truth About Media Body Shaming Tactics! While I was away on holiday, I stumbled upon this magazine cover. It inspired me to write this article series. As you can see, it’s about women who seem to be happy with putting on weight. 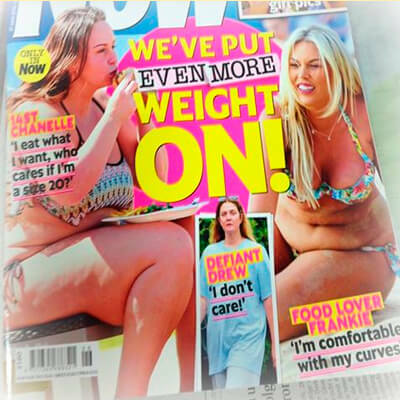 The magazine could have flagrantly fat shamed them, but it might have antagonized their readers. Instead, they carefully opted to use body movement language like “I’m comfortable with my curves.” This way they can look like they are doing something good. If you wanted to make a woman look bad, what would you do? Wouldn’t you pick her worst picture? How about one where she leans forward so that her belly stands out or one with a hamburger in her hand to illustrate that she’s pigging out? The media constantly shows us what an acceptable body is and what is not by tweaking photos. They know the adage “a picture is worth a thousand words” and use it to instill a message in your unconscious mind which can go under your radar when they produce mixed messages like the one above. They routinely enhance thin and young features and either ignore, fix, or ridicule everything else. This Try Guys video splendidly depicts how the media create a fantasy out of a real person. These guys modeled to faithfully reproduce celebrity shots. In the end, what was left of them was what they called “a piece of art.” The video shows how lights, makeup, and Photoshop do the trick. This public message gradually percolates in our brain at an early age without scrutiny. It teaches us that a perfect body will make us loved, happy, and appreciated and an imperfect one rejected, ignored, or worthless. When we accept that as the truth, food trouble begins. 81% of 10-year-olds are afraid of being fat (Mellin et al., 1991). 35-57% of adolescent girls engage in crash dieting, fasting, self-induced vomiting, diet pills, or laxatives. Overweight girls are more likely than normal weight girls to engage in such extreme dieting (Boutelle, Neumark-Sztainer, Story, &Resnick, 2002; Neumark-Sztainer&Hannan, 2001; Wertheim et al., 2009). Girls who diet frequently are 12 times as likely to binge as girls who don’t diet (Neumark-Sztainer, 2005). Can A Perfect Body Make Us Feel Better About Ourselves? Taryn Brumfitt attracted a lot of media attention when she published a naked picture of herself. She went from training really hard to be a body icon to being comfortable in her skin without the “perfect body” and a lot of extra weight. Was she happier with the iconic body? Now she no longer thinks about food and her looks all day, and she’s doing something that excites her: helping women feel comfortable in their skins. Here is her story, and the story of the women she interviewed. I dare you to watch this without shedding a tear! I cried like a baby. If, like the women in this film, you wonder if you can ever be happy with your body, get my cheat sheet to build radical self-acceptance by using two simple, pragmatic tips so that you feel comfortable in your own skin and radiate love everywhere you go. I grew up with low self-esteem and a constant need for other people’s approval. I was pretty and skinny, but I felt ugly and worthless. What I’ve learned from that is that I could never be perfect enough! If you attain your perfect body, then your new obsession becomes maintaining it. If you lose it, then you obsess about getting it back. An ideal weight may make you feel good temporarily, like a compliment would. But if you are attached to your ideal weight because you’re convinced it gives you value, security, or attention and you feel you can’t survive without it. Then it doesn’t make you feel good about you. It hides your insecurities and soothes your fear of not being good enough. Warning: The Media May Still Be Hurting Your Self-Image! We become less easily influenced as we grow older and psychological studies tend to demonstrate that early-teen girls are the most affected by body shaming. But are you completely protected from its influence? Let’s do the test. I noticed that as I was flipping through its pages, my self-esteem shrank. I since decided never again to invest in something that was making me feel bad about myself. It’s very simple. Assess your body satisfaction, self-confidence, and overall happiness from 0 to 10 before reading female-oriented media, and again after. 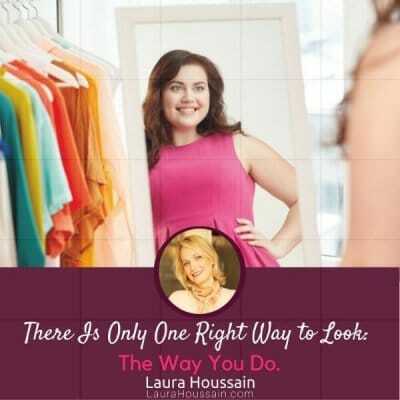 If, like me, you get this feeling that you’ll never look good enough, have enough clothes, make-up, and feel a little down overall, you have passed the test. It might be a very weak or vague feeling. But if you dropped one point in body satisfaction or happiness, it still counts. In my opinion, something that makes me feel bad about myself is unacceptable and certainly not worth buying. That’s why I banned this self-esteem sucking propaganda out of my life forever. I feel grateful that I did. I feel pretty good about my body, including my “imperfections,” on average. 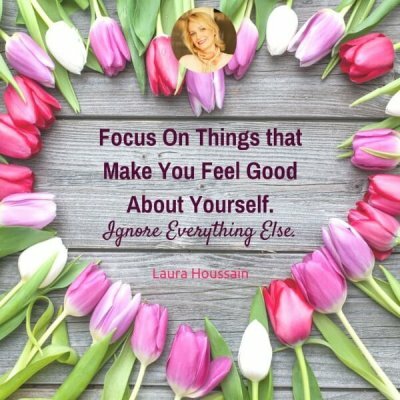 When I feel insecure, I use the exact same technique I share with you in my plan and soon my confidence and body satisfaction return. If you have failed the test, then maybe the media no longer affects you. Can We Blame it All On the Media? A short answer is: no. Unfortunately, the press also influences your friends, partner, and family. I know some clients who still feel deeply wounded by nasty comments about their figure made by someone close. If your parents raised you with love and helped you feel deserving and valuable to the core, they may have somewhat protected you from society’s constant body shaming. Unfortunately, the sweetest parents can’t always repair the damage caused by nagging schoolmates. Worse, if your parents and your peers sent you the same “be perfect or be worthless” message, the eager-to-please girl that you were probably internalized it as undeniable truth. In other words, you have a greater chance to feel ashamed of your body if people close to you coerced you into thinness and rejected you when you didn’t meet their standards. And years later, you can’t help feeling terrified at the idea of putting on weight, and you expect others to reject you when you do. Your weight has become much more than a number on a scale. 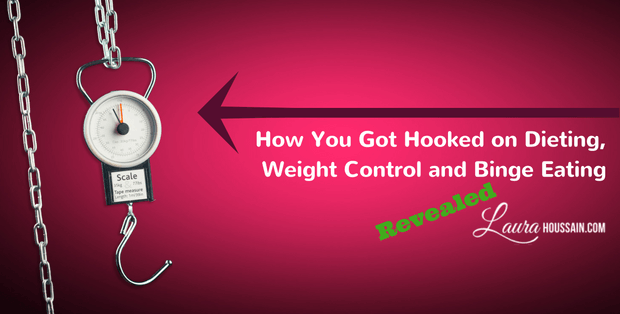 Weight-gain means the certainty that you’ll get dumped, fired, rejected, or scorned, and it will make you hate and reject yourself. Weight control is a must. Your self-esteem and social acceptance depend on it. Body shaming creates the illusion that an ideal body weight and type can guarantee security, other people’s approval, love, attention, and several other benefits. It may be somewhat true. Our society values beauty, considers fit people more successful, and adores youth. But how do you appreciate the attention of individuals who are only attracted by your looks? From my experience, it feels abusive and cold. What fun is there in feeling like a prize or somebody else’s ego boost? As far as I’m concerned, none. It’s never those people who pick up the phone when your heart is broken and you need a friend. But, because we have consistently received the same message that “fit is worthy, popular, and successful, and everything else is disposable,” our sense of self-worth became entangled with our looks. And when that happens you are most likely to diet and/or exercise compulsively and binge at some point. I reveal how you can reclaim your peace of mind, peace with food, and feel comfortable in your skin for the rest of your life in the next post how to stop binging. But if you just can’t wait, get my plan to gain unshakable self-acceptance now so that you can finally live a peaceful life without body shame, food drama, binge eating, emotional rollercoasters, and weight nightmares. The Media’s Influence on Body Image Disturbance and Eating Disorders: We’ve Reviled Them, Now Can We Rehabilitate Them? Thanks! Deborah. Glad you like it. My Pleasure Deborah! I’m happy you’ve found it useful. Thank you, Joan! Glad you like it. Yes plenty more is coming. Make sure to subscribe to get my updates. And if you want me to help you crush body shame and build unshakable self-acceptance, download my plan. You’ll receive an invitation to enter my upcoming unshakable self-acceptance challenge that will help you put the plan into action.